The next installment of our ongoing Campaign Boot Camp series looks at changing demographics of the United States and what they will mean for politics Monday, June 9, from 9:30a.m. to 11 a.m. Monday, June 9. The program is free, but please RSVP here. Paul Taylor of the Pew Research Center will discuss what it might mean as Baby Boomers grow older while Millennials face a potentially lower standard of living than their parents. 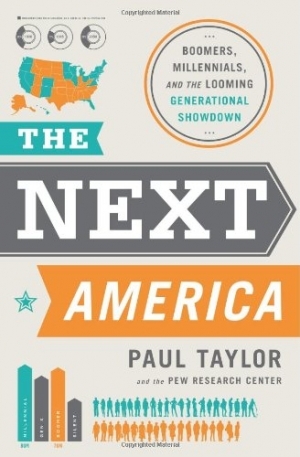 Taylor's new book, "The Next America," draws on Pew's archive of data and surveys. This program is presented by the Regional Reporters Association, National Press Club Journalism Institute and the Institute's Professional Development Committee.